Myanmar-based Yoma Bank has implemented a new treasury and capital management (TCM) system, Fusioncapital Opics, supplied by Finastra (formerly Misys). The new solution supports front-to-back operations of the bank in the TCM space, including FX spots and forwards, FX swaps, cross currency swaps and structured derivatives. 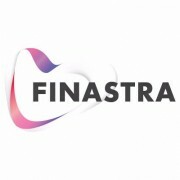 Yoma Bank already uses Finastra’s core banking system, Fusionbanking Essence. It went live at the bank last year. Vijay Maheshwari, CFO at Yoma Bank, says the treasury tech project was completed on schedule. Finastra says with the new solution in place, Yoma Bank “will benefit from greater transparency, flexibility and functionality on a single platform”, which will put the bank’s treasury capabilities “in the same league as international players”. Yoma Bank was founded in 1993 and is Myanmar’s fourth largest bank by assets today. It provides universal banking services across its 72 domestic branches and employs 3,000 people.